Showing 4 posts from May 2016. 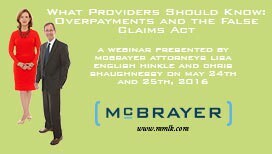 Recap of the Webinar, "What Providers Should Know: Overpayments and the False Claims Act"
On May 24th and 25th, 2016, McBrayer held a webinar on what providers should know regarding overpayments and the False Claims Act. 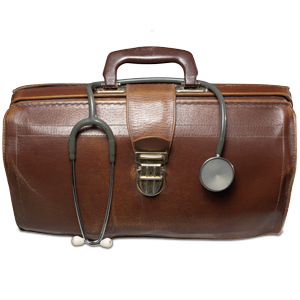 Lisa English Hinkle and Chris Shaughnessy, McBrayer healthcare law attorneys, guided participants through the interplay between overpayments from various federal healthcare programs and violations of the False Claims Act that can accrue heavy penalties. For further information on this webinar, contact McBrayer’s Marketing Director, Morgan Hall.